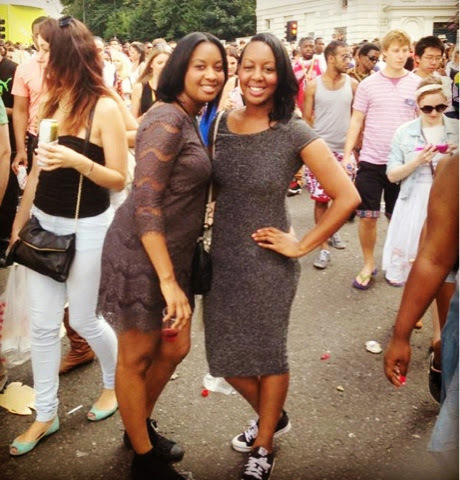 It's the August bank holiday weekend and that can only mean one thing in London....Notting Hill Carnival!! It is the 3 day annual event that has taken place since 1966 and it is described as one of the biggest street festivals in the world. 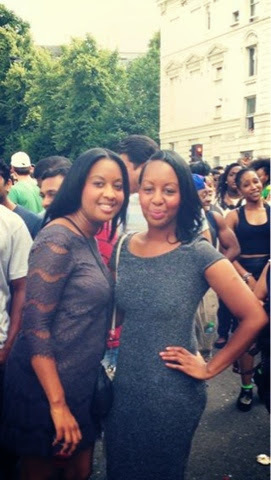 Coming from a Trinidadian and Jamaican background, Carnival has always been a big part of my culture growing up. Spread over the last weekend and Bank Holiday Monday in August, Notting Hill Carnival starts on the Saturday with 'Panorama' - a free, open air steel pan band competition which is like a warm up to the actual carnival itself. It's a national competition and a number of steel pan band artists from across the country will go up against each other in the effort to be crowned number one. This is a great event to see and the sound of live steel pans drumming away familiar songs aswell as traditional calypso music is one not to miss! Thousands of people walk or dance the streets of West London during Notting Hill Carnival - even our iconic London red buses get in on the act! The Sunday before the bank holiday parade is known as 'Childrens/Family day'. Although this is still a very busy day due to it's popularity, you normally find a little less crowds. It is a good day for getting up close to all of the processions and parades. The flamboyant and colourful costumes of the carnival queens are the picture postcards of carnival! 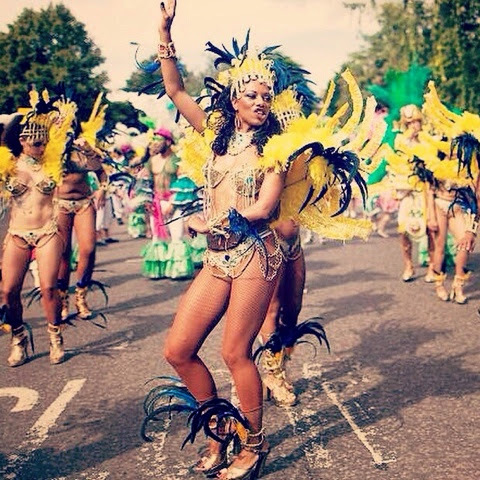 The main day is the Bank Holiday Monday itself where Carnival really comes to life! It is colourful, vibrant, buzzing and the atmosphere is electric! 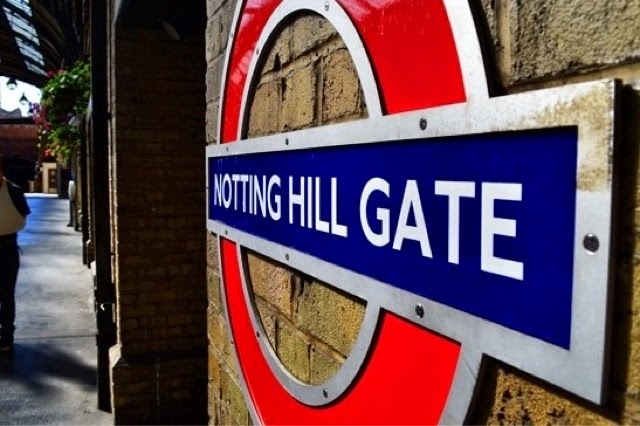 West London becomes a melting pot of different cultures and music and although primarily it still has very large West Indian roots and heritage, you will see lots of different floats or static sound systems with African, indie, house or techno music. For me, the authenticity of NHC lies with the traditional calypso music and I always follow a float and have a good old 'jump up!'. I just love it and its the one time that it seems like Londoners and tourists alike, put their guards down, talk to (and dance with!) each other and just have a great time in each others company. So, this Bank hol' weekend, put on your glad rags, find some comfy, flat shoes (you'll be doing lots of walking!) and go and enjoy one of London's last summer events before the Autumn is upon us. As with any large festival, stay safe, be street smart and make sure you have a bottle of water with you - all that dancing can be thirsty work! 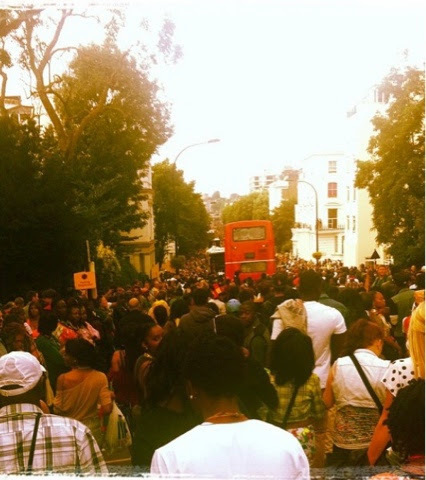 For more details on the Notting Hill Carnival, click here.